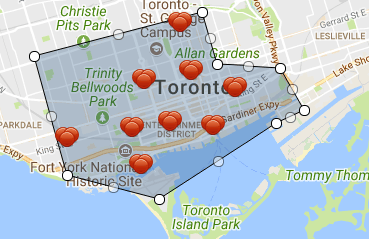 One of the most common questions I receive from clients is “how much is a 1 bedroom condo in Toronto”? There is a lot of fluctuation based on area and age of the building, but I decided to average everything off from all the sales in the core in October 2017 to get an idea of what the current average costs are to buy and to rent an average 1 bedroom condo in downtown Toronto. The average sale price of a 1 bedroom condo from 0-499 sqft was $420,239 (Low = $299,000; High = $560,000). There were a total or 36 sales that were on the market for an average of just 12 days. For 500-599 sqft condos, the average price was $479,150 (Low = $335,000; High = $710,000), with 96 total sales on the market for an average of 15 days. For 600-699 sqft condos, the average price was $531,742 (Low = $385,500; High = $740,000), with 118 total sales on the market for an average of 18 days. For 700-799 sqft condos, the average price was $572,169 (Low = $385,200; High = $792,200). There were 61 total sales on the market for an average of 18 days. For 800-899 sqft condos, the average price was $639,762 (Low = $433,000; High = $859,000). There were 19 total sales on the market for an average of 19 days. For 900-999 sqft condos, the average price was $630,600 (Low = $453,000; High = $705,000). There were 5 total sales on the market for an average of 11 days. Lastly, for 1000+ sqft condos, the average sale price was $818,450 (Low = $470,000; High = $1,080,000). There were 10 total sales on the market for an average of 20 days. This category has a large range so if you are shopping in this range it is best to narrow this down with me directly to get a better idea of more specific pricing. The rental market has been crazy lately, and rents are way up even from just a few years ago. I used to be able to find amazing 1 bedroom condos for clients for around $1500/mth, but that number has quickly soared up to around $2000/mth. The average rental price of a 1 bedroom condo from 0-499 sqft was $1,907 (Low = $1,400; High = $2,250). There were a total or 50 condos leased that were on the market for an average of just 13 days. For 500-599 sqft condos, the average rental price was $2,032 (Low = $1,600; High = $3,800), with 212 condos leased on the market for an average of 14 days. For 600-699 sqft condos, the average rental price was $2,161 (Low = $1,750; High = $2,900), with 193 condos leased on the market for an average of 13 days. For 700-799 sqft condos, the average rental price was $2,363 (Low = $1,928; High = $3,300). There were 85 condos leased on the market for an average of 12 days. For 800-899 sqft condos, the average rental price was $2,592 (Low = $1,950; High = $3,500). There were 22 condos leased on the market for an average of 16 days. For 900-999 sqft condos, the average rental price was $3,625 (Low = $3,000; High = $4,250). There were 2 condos leased on the market for an average of 11 days. Lastly, for 1000+ sqft condos, the average rental price was $3,744 (Low = $2,450; High = $8,000). There were 13 condos leased on the market for an average of 22 days. Hopefully this gives you a better insight into what the real cost of living is when it comes to a 1 bedroom condo in the Toronto downtown core. 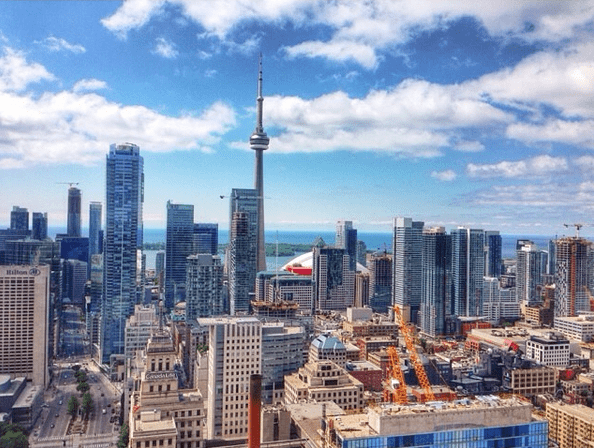 If you need help finding a condo in Toronto or have any questions about the Toronto condo market, please contact me any time as I would love to help you with your search.